This 2-day class covers the Layer Manager, Design Center, Structural Members, Doors, Windows, and Walls. Hands on practice take the student from creation of a site plan, floor plan, and space planning, all the way through to the finished building - a standard three bedroom, two bathroom residence. By the end of the class, Participants should feel comfortable enough to create a standard model, and even know how to customize the interface for Participants own use. The instructor provides Participants with in-depth coverage of toolbars, dialog boxes and commands. AutoCAD 210 Architecture Fundamentals focuses on the design development, construction documentation, and visualization features of the AutoCAD Architecture software. Schedule of upcoming AutoCAD Architecture training classes. Students should have a solid background in the AutoCAD software because AutoCAD software tools and concepts are essential for working with the AutoCAD Architecture software. 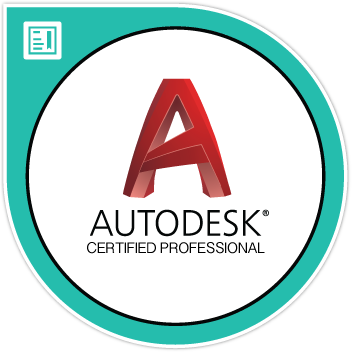 We highly suggest our AutoCAD Essentials or equivalent knowledge. In particular, students should be familiar with basic 3D viewing tools (preset views, 3D Orbit, and Visual Styles), layouts, Paper Space/Model Space issues, and external references (XREFS). A working knowledge of the Ribbon interface is helpful but not essential, as pertinent tools are covered in the training guide. We also suggest that you have the AutoCad software before starting the class. You can purchase the software or obtain a trial version of it from the AutoDesk web site.